Navy blue hat with embroidered logo. Velcro sizing adjustment. Navy blue athletic shorts with sublimated logo. 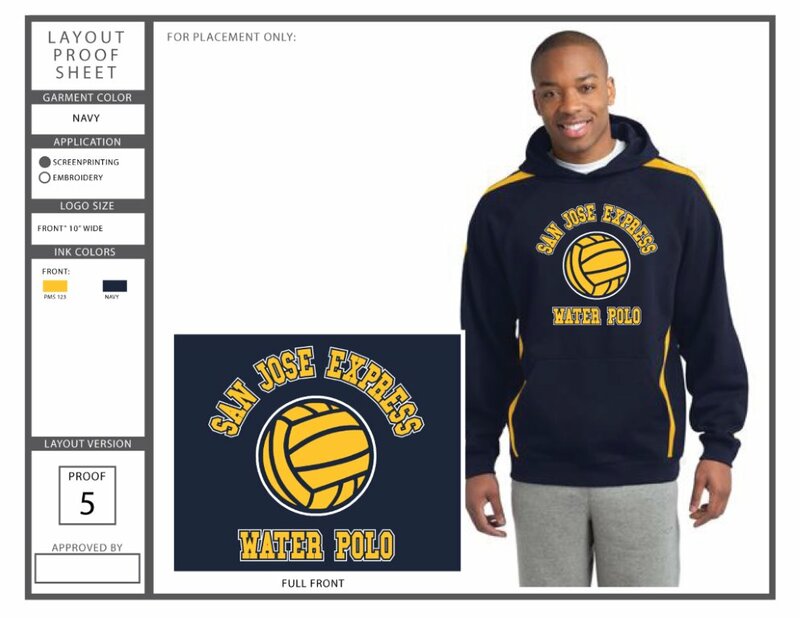 Features: nice long length, elasticized cuffs, drawstring hood, fully lined in thick gold fleece. Zipper can zip from the top down or the bottom up. Waterproof with large twill tackle SJ Express embroidered applique on the back, last name embroidered in front, and logo in front.